A few days late, but worth the wait! Chase and Blake are back with a special 2 in 1 Showcase, the first in their series of “Legendary Runs” episodes, starting with their thoughts on Grant Morrison’s New X-Men. 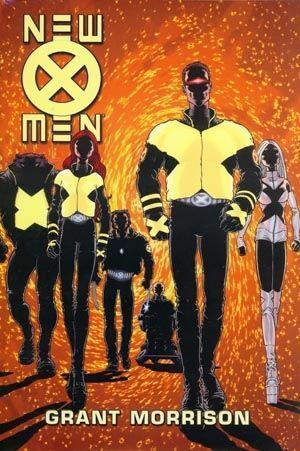 the guys discuss what they loved about the book, what made it so incredible, how the writers since then have dropped the ball and, finally, what’s up with the X-Men family today. This week’s picks fall on a pair of Green Lantern guest star books, Booster Gold #2 and Legion of Super-Heroes in the 21st Century #6! This entry was posted in Showcase Podcast and tagged Booster Gold, Grant Morrison, Green Lantern, Legion of Super-Heroes, New X-Men, X-Men. Bookmark the permalink.